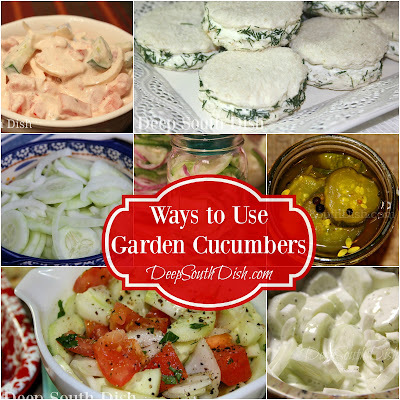 When the garden cucumbers start flowing, here's a collection of recipes for salads and more, to enjoy them! This year, for the first time since we moved, I planted a small square foot style, raised bed garden right outside my backdoor patio. 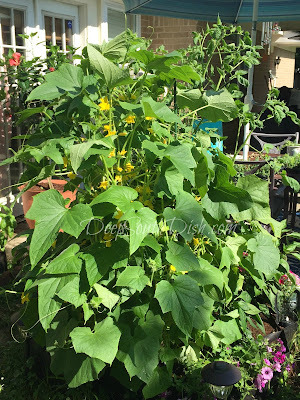 In that, I planted an heirloom tomato, some herbs, two pepper plants and two cucumber plants that just exploded, so I've been picking two to three cucumbers a day for several weeks now. The only thing I did was to feed it Jobe's organic fertilizer for vegetables. 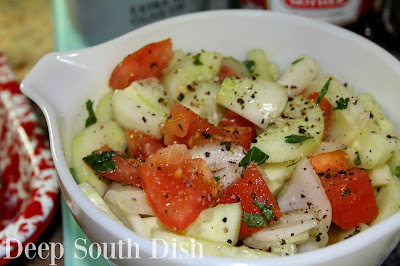 The cucumber salads have certainly been flowing here lately, and I just love having different variations to make. Although I do have them on my salad round-up page, I thought that I would pull together a page of just the cucumber salads and other things to do with cucumbers, so that y'all have a quick resource to reference should you find yourselves in the same cucumber abundance. As always with my round-ups, I'll be adding more as I go, so be sure to pin or bookmark it to check back from time to time! 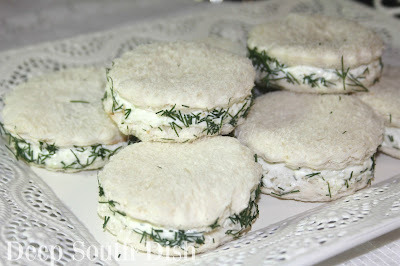 Cucumber dill cream cheese sandwiches are a classic southern finger food at parties, weddings, a ladies brunch, bridal and baby showers, but truthfully, they are just as wonderful just to enjoy anytime served with a side of sliced garden tomatoes for a light, cool lunch. 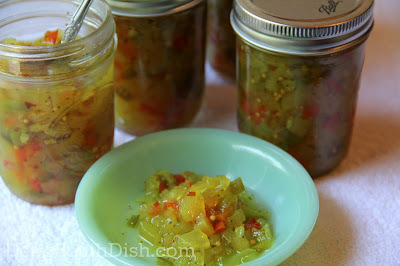 An heirloom recipe, Million Dollar Relish is a sweet pickle relish made from cucumbers, onion and sweet red and green bell peppers. 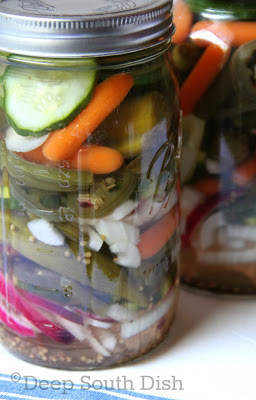 Refrigerator Pickled Vegetables (Giardiniera) - a pickled mix of fresh, crisp, raw veggies. Green or yellow wax beans, baby carrots, cauliflower florets, whole small okra pods, red, yellow or orange sliced sweet bell pepper, cubed eggplant, sliced squash or zucchini, 1-inch celery rib sections, whole button mushrooms, mild hot peppers and pearl onions are all typical and good choices. 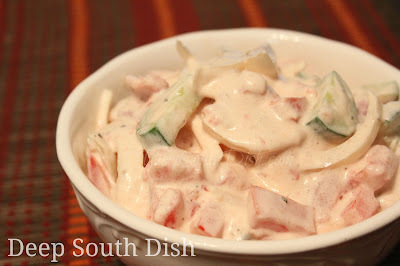 Thick cut slices of cucumber, with sweet onion and fresh tomatoes, mixed with a mayonnaise, sour cream and fresh herb dressing for a creamy cucumber salad. 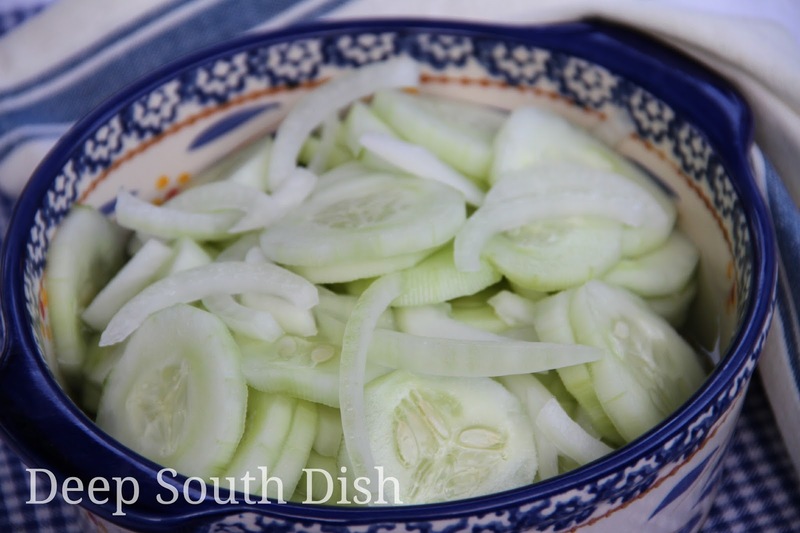 A cucumber and sweet Vidalia onion salad, dressed with a sweet and sour vinegar dressing. 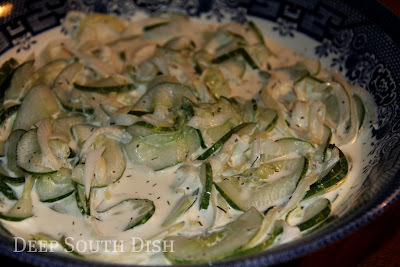 A cucumber and sweet Vidalia onion salad, dressed with a vinegar and sour cream dill dressing. 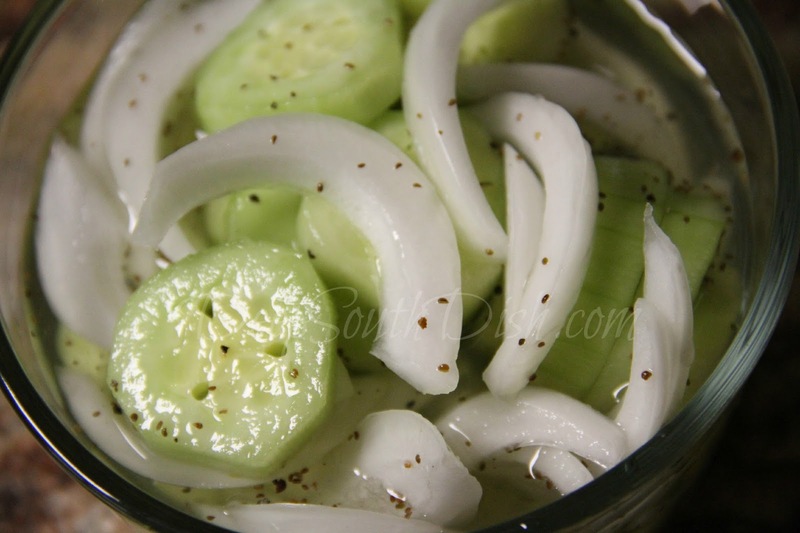 An old fashioned southern salad of thinly sliced cucumbers and sweet Vidalia onions, dressed in a sweet and sour mayonnaise dressing. 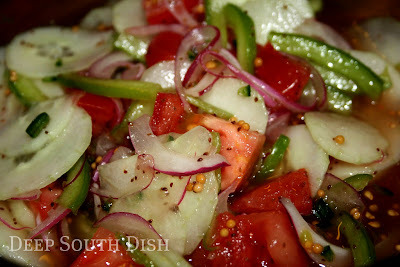 One of my favorite southern salads for the summer, this spicy, sweet and sour Fire and Ice salad, gets it's name from the contrast between the red onion, green bell pepper, horseradish and jalapenos, and the cool crunchy cucumber and sweet tomatoes. 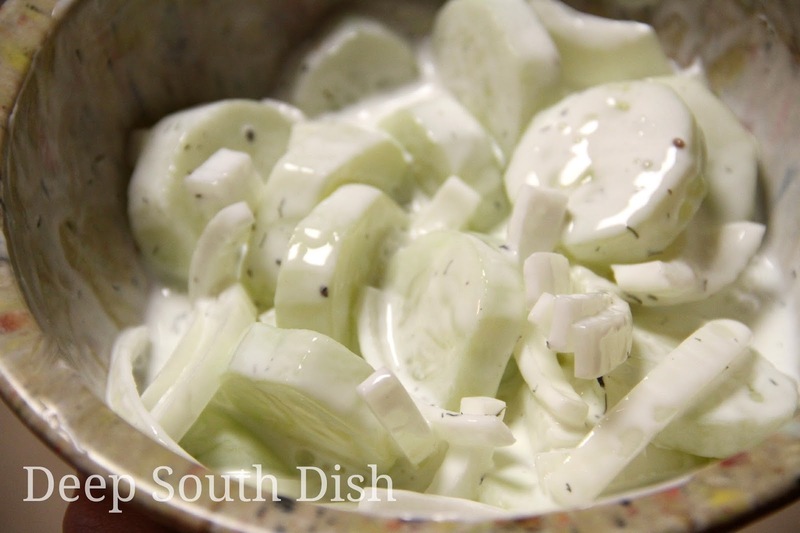 A simple, but tasty southern favorite, this cucumber salad is made of very thinly sliced fresh cucumbers and is dressed with a boiled sweet and sour vinegar dressing. My personal favorite is this simple salad for the summer, featuring garden fresh cucumbers and tomatoes, red or sweet onion, and dressed in a simple homemade vinegar and olive oil Italian dressing. I do love that one too! Hi Tricia! Gotta love technology - when it works at least lol!! Anonymous posting is fine really. 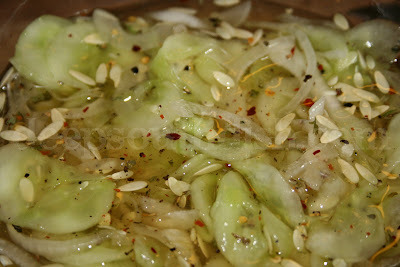 I am living on cucumbers, watermelon and salads right now - this heat is nearly intolerable! I was actually quite stunned my cucumbers did so well. I only planted the two plants, two different kinds, but they both did really well. I feel like I've been waiting forever for all of those green tomatoes out there. I've had a few beginning to turn orange, finally! I always like to take my first tomato and just slice it up with some salt, pepper and a dab of mayo. After that, the next one has to be a tomato sandwich!